While doing some extra thrifting this week looking for fresh merch for the upcoming Vintage Clothing Shows picked up this pair of keepers for PZ. 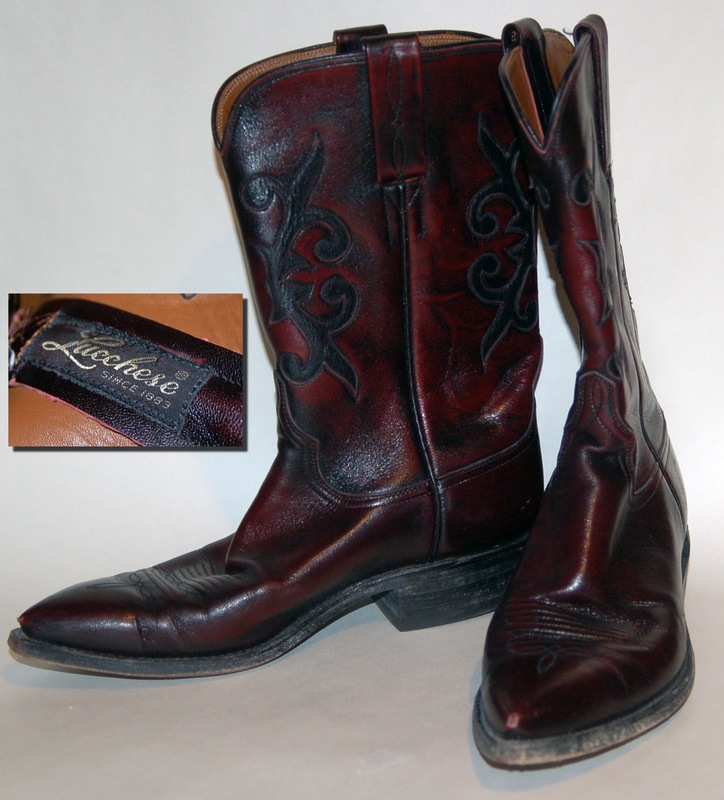 It's getting very hard to find stuff still made in the USA but the Lucchese's are. We'll be doing both shows with a different inventory for each.